What Types of Food Do Spanish Speakers Enjoy? Before you begin working your way to foreign language fluency, it helps to understand the culture behind the language you’re learning. After all, language exists to help a group of people express their ideas and beliefs. Spain is an old country with a rich history and culture. As you begin your Spanish language program, gaining a strong grasp on this history, the values, and the etiquette will help you rapidly achieve success. In particular, Spanish speaking nations tend to place a great deal of importance on eating well and enjoying an array of dishes, fused from multiple cultures around the world. Spanish cuisine formed at the intersection of New World and Old World ingredients, which earned the genre the title of “first fusion food.” Corn, beans, and squash, known as the “three sisters,” have been the products of a unique Latin agricultural design for centuries. Interestingly, the fourth sister to corn, beans, and squash may have been a fungus that grows on corn known as cuitlacoche, which was consumed prior to the arrival of the Spanish. Amongst the Aztecs and Mayans, corn was valued as a sacred food. Considered the staff of life, corn kernels were ground into a paste on a “metate” (a stone slab) and prepared on clay griddle as tortillas. The roots of alcohol in Latin American run deep as well. Aztecs fermented agave sap to produce “pulque,” a mildly alcoholic beverage. Additionally, ancient people of Latin America harvested “spirulina,” a type of algae, and prepared it into cakes, eating the product like cheese. Traditional meats that were consumed amongst these communities included turkey, duck, deer, and rabbit. However, the vast majority of protein was absorbed from beans and insects. The meat was only consumed in small part by ancient Latin America civilizations. Beloved ingredients used widely across Europe today like avocados, chilies, pineapples, cacao, tomatoes, and vanilla were originally imported from Latin America. In contrast, the Spanish brought eastern ingredients like garlic, apples, lamb, beef, pork, chicken, sugarcane, onions, and grapes into Latin America. Latin American cuisine is the result of indigenous recipes infused with imported ingredients. Cities have lots of supermarkets where you can do your shopping. There are also US chains such as Costco and Walmart. Latin Americans and Spaniards shop for food and other items in covered markets and in local stalls. While shopping, the residents get a chance to chitchat with stallholders. Most Spaniards will schedule their weeks based on the markets they visit and they buy specific items on specific days. Shopping goes with seasons. “Mercado la Merced” poses as one of the biggest food market with a wide range of food substances. It is a good place to pick other house supplies such as buckets and mops. There is also the “Mercado de Sonora,” which is a sprawling market with lots of goodies – it is also called the witches’ market. People visit this market for the host of herbs, amulets, portions, colored candles, religious items, and spooky items. When here, you can get witches to read your palm, have evil spirits banished by having incense wafted your way, buy love portions in form of perfumes, and much more. It is a market full of bizarre tales. People also stop there to buy toys and piñatas?? for children. Seafood is popular in Latin America and Spain, with a combined 6,000 miles of coastline stretching across the edges of these areas. Tuna, red snapper, jackfish, and grouper are sourced from the Gulf, Pacific, and Caribbean. With an abundance of fish on the coasts of Latin America and Spain, the beach acts as the perfect location for preparing seafood meals. The fish is grilled whole or in fillets and then served up with lemon, garlic, and salt. It is often served over rice with cabbage slaw and avocado slices. Beachside resorts also have a selection of fresh seafood. Seafood maintains popularity amongst city-dwellers and can be found in many restaurants. Popular city restaurants include “marisqueria” and “cocteleria.” At the “marisqueria,” or seafood restaurant, dishes like “paella,” a seafood medley steeped together in sauce. At “cocteleria,” seafood cocktails such as “ceviche” (raw fish cured in citrus juice) are served. Across most of Latin America, restaurant patrons can enjoy sophisticated seafood dishes at high-end restaurants. Holidays affect the popularity of seafood in Latin America, where the population is predominately Catholic. During Lent and Easter, Catholics do not consume any meat besides fish. Seafood lends itself as a delicious alternative to other types of meat. In addition, on Christmas Eve a traditional salt cod dish known as “bacalao” is served with tomato sauce, chilies, capers, and olives. Seafood, like tacos, can fit a spectrum of budgets. However, seafood dishes have a higher starting point when it comes to cost. For most Latin Americans, seafood is not consumed daily. Latin Americans and Spaniards love their food natural. Their traditional Spanish delicacies are in many of the sit-in food places. To get the real taste of Spanish food, however, head to the street market. The dining experience there is reflective of the real Spanish food scene. 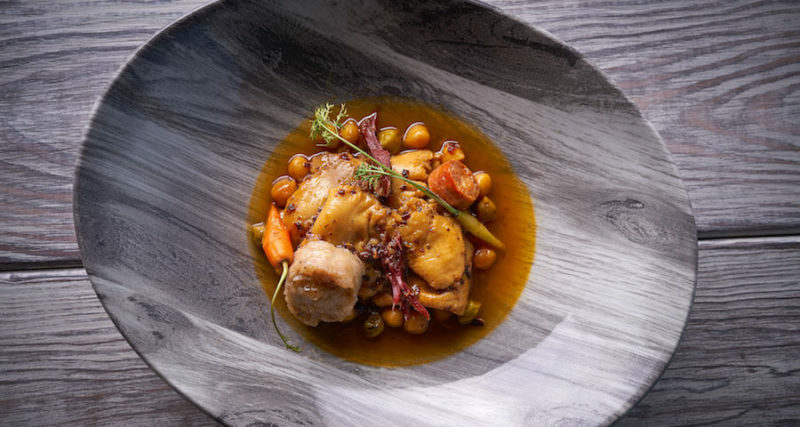 The Latin American and Spaniard chefs are reinventing the recipes from classic to natural contemporary meals. If you are lucky enough, you will have friends who will invite you to their houses for a treat. When you eat from the home of a true Latin American or Spaniard, you get the taste of authentic delicacies. There is a wide variety of dishes in the street market restaurants and food place. You cannot have enough of regional dishes because something new is always coming up. There are different combinations to try bringing into the food scene thousands of dishes. With lots of natural ingredients, Spanish foods choices are overwhelming. Spanish food is not what they are represented in Tex-Mex concoctions in Europe and US. Chili con is not Spanish. Most Spanish foods start with a tortilla, a circular flat bread. These tortillas are made of dough, but they may also be made of wheat. The dishes are served hot directly from the griddle. Tortillas are used in place of spoon or fork to scoop food. Even in international hotels in Spain and Latin America, there are traditional Spanish cuisines for you to taste. You can also learn how to create some of the meals such as tortillas.